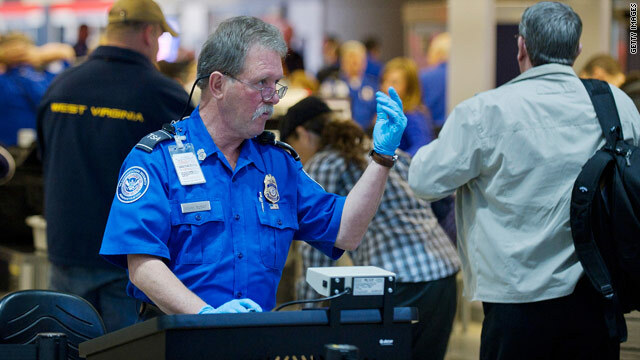 CNN confirms from the TSA that air travelers may observe additional security measures related to insulated beverage containers. The TSA is carefully monitoring information related to terrorist tactics and working with their international partners to share information and security best practices. Nicole Kidman says kids chose to live with Tom: Nicole Kidman stars as a mother dealing with the pain of losing a child in the movie “Rabbit Hole,” but in real life, she’s dealt with the difficulty of being separated from her children. 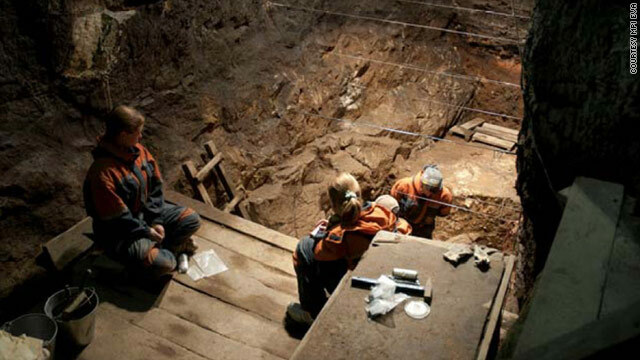 Finger points to prehistoric human species: An overlooked female pinkie bone put in storage after it was discovered in a Siberian cave two years ago points to the existence of a previously unknown prehistoric human species. South Korea conducts large military drills: North Korea threatened Thursday to launch a "sacred war" after South Korea completed large military exercises near the volatile inter-Korean border. Drunk driver gets 51 years in pitcher's death: A convicted drunken driver was sentenced Wednesday to 51 years to life in prison for a crash that killed Los Angeles Angel pitcher Nick Adenhart and two others. Terrelle Pryor, 5 other Ohio State football players suspended: Six student-athletes on The Ohio State University football team have been suspended for NCAA violations, the school said Thursday. U.S. stocks ended a strong week on a quiet note Thursday, as mixed economic data kept investors from jumping in ahead of a long holiday weekend. The Dow Jones industrial average edged up 14 points, or 0.1%; the S&P 500 fell 2 points, or 0.2%; and the Nasdaq slipped 6 points, or 0.2%. 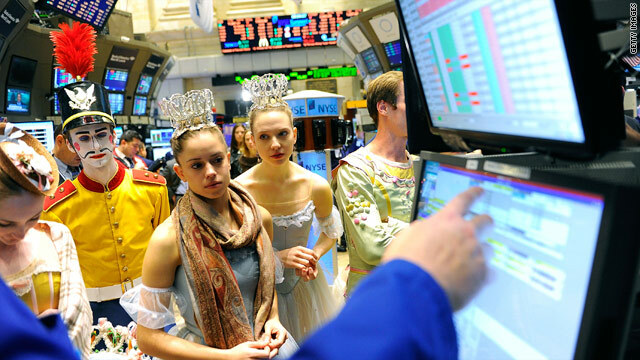 The three major indexes were about 1% higher for the week. On Wednesday, stocks ended at fresh two-year highs as oil prices topped $90 a barrel. Reports Thursday showed jobless claims barely budging, new home sales rising slightly and personal income and spending ticking higher. 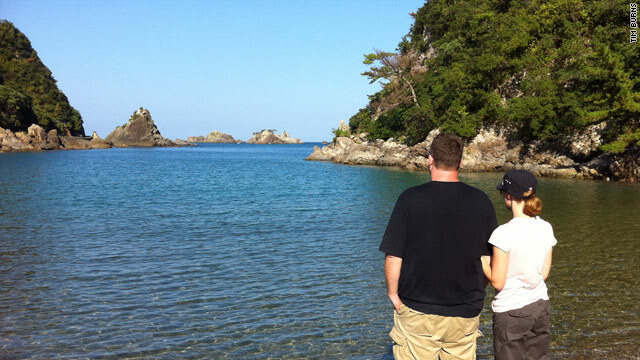 Like many Americans, Tim and Carrie Burns were horrified by scenes of dolphins being killed in "The Cove," an Oscar-winning documentary that depicts the annual dolphin slaughter in the village of Taiji, Japan. And now, the Florida couple is channeling that outrage into efforts to end the killings. The two are heading to Japan on Monday to meet activist Ric O'Barry, the voice behind "The Cove" and founder of "Save Japan Dolphins," a campaign devoted to ending the Japanese fishery slaughter of dolphins. The group also focuses on halting the capture and trade of dolphins to zoos and aquariums around the world. 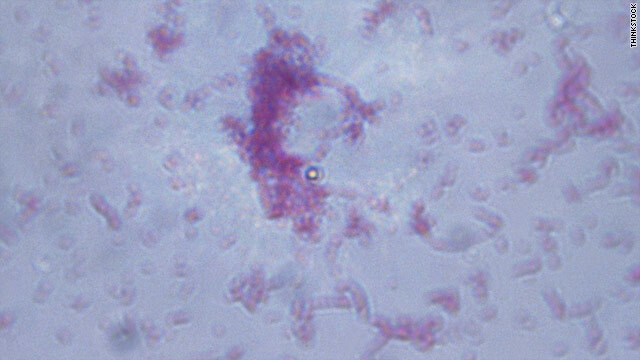 A salmonella outbreak linked to alfalfa sprouts has sickened 89 people in 15 states and the District of Columbia, the Centers for Disease Control and Prevention reported Thursday. 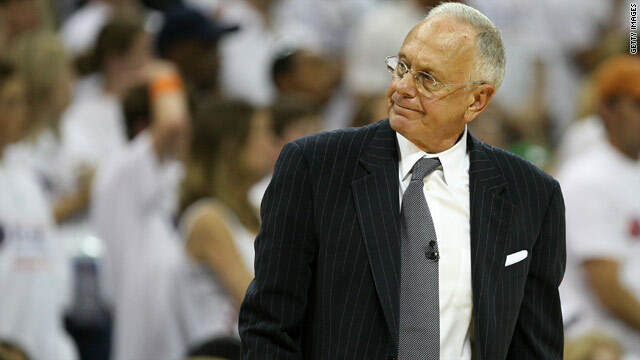 Shocked by Larry Brown’s decision to leave the Charlotte Bobcats? Well, maybe you shouldn’t have been. According to SI.com’s Ian Thomsen, Brown’s dissatisfaction with the organization had been brewing for months, and it was only a matter of time before the botched deal with Erick Dampier and the departure of Raymond Felton was too much for Brown. Sources say that Brown walked away from the Bobcats with an $8 million severance and will likely look for another coaching gig in the NBA. His replacement, Paul Silas, was the popular coach of the former Charlotte Hornets and will be a good fit for the team, at least in the short-term, as the franchise looks to cut back on its payroll in anticipation of a new collective bargaining agreement. But, can Silas do a better job than Hall of Famer Brown in leading the Michael Jordan-owned Bobcats out of what has been a thoroughly dismal season? The volatile coach of the Inter Milan soccer team was fired Thursday after demanding the team's owner voice support for him. Benitez had previously criticized the team's board for its unwillingness to spend money to acquire better players. 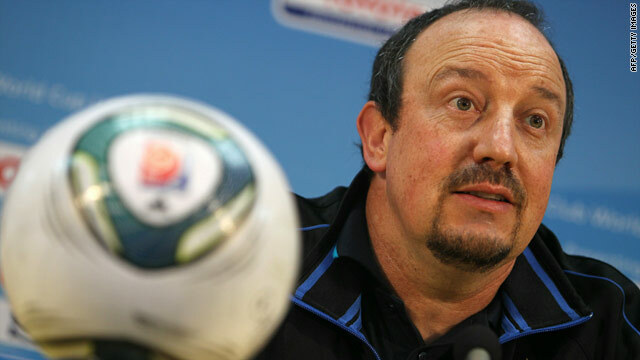 Benitez, a 50-year-old Spaniard, had been the team's coach for just six months. "F.C. Internazionale would like to thank Rafael Benitez for his work in charge of the team, which he guided to success in the Italian League Super Cup and in the FIFA Club World Cup," a statement from the team said. The Detroit pastor ministered to the poor and homeless out of a run-down church with a huge hole in the roof. Mitch Albom, a Detroit Free Press columnist and author of "Tuesdays With Morrie," featured Covington in his best-selling 2009 book, "Have a Little Faith." Covington became a Christian after giving up a life of drug-dealing and violence in New York. 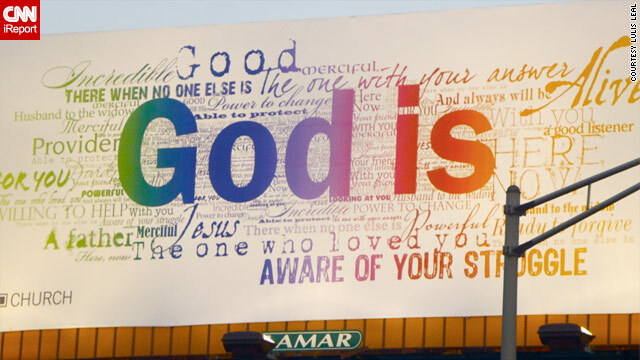 He created I Am My Brother's Keeper Ministries in the dilapidated Pilgrim Church in a poor neighborhood in Detroit, where he became the subject of a column by Albom in 2008. Readers' response to Albom's column resulted in a new book and charitable foundation for Albom, a new roof for the church, and a new level of celebrity for Covington. Covington and Albom appeared Monday on NBC's "Today" show in New York, Covington's hometown. Covington stayed an extra day to visit with family. He died in his sleep Tuesday night. He was 53. "You were saved that night, saved from the drug dealers out for revenge, and saved from the spiral of an empty, wasted life. Your soul began its comeback. You got clean. Stayed clean. And you kept your promise. You gave the Lord not only your devotion, but your days." Covington is survived by his wife, Annette, and four children. His funeral will be Tuesday morning at Pilgrim Church. The 12-year-old from Toronto recently decided to quit her coed hockey team, the Ice Dogs - not because she was the only girl, but because the father of one of her teammates called for severe restrictions on her ice time. The father, a lawyer, drafted an agenda that identified Kayla's skill level and abilities as a liability to the team. "It is now 14 games into the season and I have noticed that Kayla's play has not improved," the agenda reads, according to the Toronto Star. The agenda then proposes several options for limiting Kayla's playing time. "If Kayla is NOT amenable to the above options, the coach should find Kayla a new team to play on — commensurate to her skill level — for the balance of the season," the agenda reads, according to the Star. The coach, for his part, said he wanted Kayla to stay on the team. But to spare herself the humiliation and to quiet the controversy, Kayla has switched to playing with the all-girl North York Storm. "I felt that if I went back all the parents would have been watching every move I made and always staring at me," she told the Star. "To play hockey you shouldn't have to go through what I went through. I was just looking to have friendship and play the game I love." The artist's exhibit at the Pierogi gallery in Brooklyn, New York, is drawing attention for one particular work: a collection of tracings representing Osama bin Laden. Esber gave each of 100 friends and relatives a photocopy of a drawing he made of bin Laden, a piece of tracing paper, a pencil, and red and black ink. Each person was asked to trace the drawing and color it to taste. The result is what The New York Times calls "a dizzying, slightly hallucinatory, one-rogue rogue's gallery." The result, titled "You, Me and Everyone Else," may say more about the artists than it says about bin Laden. So about that lame-duck Congress. After midterm elections, predictions abounded that the next few months were going to be brutal in the halls of Congress - with fighting between the GOP and Democrats, fillibusters aplenty and all around disagreement, meaning nothing was going to get done - despite a massive agenda for the Obama administration. But now, shortly before the holidays, in what many might have said in November would only happen if there were a Christmas miracle, key pieces of legislation have been signed into law, practically back-to-back. 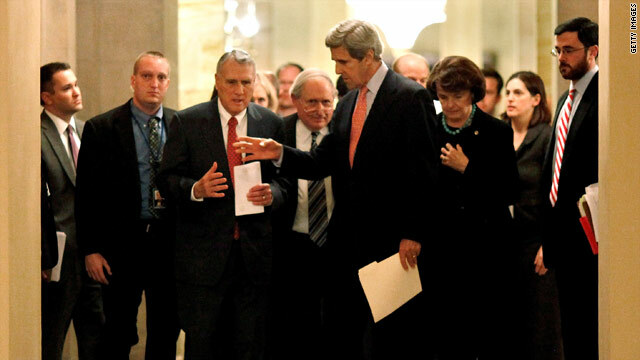 Some, such as the DREAM Act, failed a procedural vote in the Senate. The bill would have offered a path to citizenship to some illegal immigrants who entered the U.S. as children. President Barack Obama called the defeat his "biggest disappointment." Still, with everything happening so fast, it was blink, and you missed if legislation passed or failed. So, we figured we'd help you catch up, take a look at where things stand and perhaps re-dub the group of lawmakers many thought couldn't even sit in the same room together as the not so lame-duck Congress after all. Six student-athletes on The Ohio State University football team have been suspended for NCAA violations, the school said Thursday. Mike Adams, Dan Herron, DeVier Posey, Terrelle Pryor (pictured above) and Solomon Thomas will miss the first five games of the 2011 season and must repay money and benefits, the school said. A sixth player, Jordan Whiting, must sit out the first game, the NCAA determined. - Pryor must repay $2,500 for selling his 2008 gold pants, which were a gift from OSU, his 2008 conference championship ring and his 2009 Sportsmanship Award from the Fiesta Bowl. - Adams must repay $1,000 for selling his 2008 Big Ten title ring. - Herron must repay $1,150 for selling his football jersey, pants and shoes and accepting discounted services. - Posey must repay $1,250 for selling his 2008 conference championship ring and accepting discounted services. - Thomas must repay $1,505 for selling his 2008 gold pants, his conference title ring and accepting discounted services. - Whiting must pay $150 to a charity "for the value of services that were discounted," the press release said. The punishments stem from an incident in which at least some of the Buckeye players received tattoos for their autographs, according to news reports. Gene Smith, associate vice president and director of athletics at Ohio State, said at a press conference that the university will appeal the penalties, with hopes of getting the number of game suspensions reduced. Smith also said the university will do more to educate its student-athletes about the rules. The student-athletes will be eligible to play in the AllState Sugar Bowl on January 4 against the Arkansas Razorbacks, the university said. iBand Chorus – Using only iPads and iPhones, a group of musicians rocked North Point Community Church in Alpharetta, Georgia, to the sounds of the season. While banging away on keys, drums and guitars simulated by apps like NLogSynth PRO, the band, called iBand, tore the roof off the place while ringing in some holiday cheer. The devastating rainstorms that spawned flash floods and mudslides in southern California drifted out of the state Thursday, leaving behind a massive clean-up job for area residents and government agencies. As of 8 a.m. the National Weather Service was reporting cloudy skies and fog in southern California with a slight chance of morning showers. Forecasters predict clearing skies by Thursday afternoon and sunny weather Friday, with a possible return of light rain on Christmas Day. However, the region remained under a flood warning Thursday with the Mojave River expected to crest at around flood stage by late morning. North Korea threatened Thursday to launch a "sacred war" after South Korea completed large military exercises near the volatile inter-Korean border. "The revolutionary armed forces of the DPRK (Democratic People's Republic of Korea) are getting fully prepared to launch a sacred war of justice of Korean style based on the nuclear deterrent at anytime necessary," North Korea's defense minister Kim Yong Chun said, according to the state-run news agency. "The South Korean puppet forces perpetrated such grave military provocation as renewing their shelling against the DPRK during their recent exercises for a war of aggression in the West Sea of Korea," Chun said. "This indicates that the enemy's scenario for aggression aimed at the start of another Korean War, has reached the phase of its implementation. The long-planned South Korean exercises, billed as the largest land and air winter drills, were conducted just 15 miles from the North Korean border. [Updated at 9:53 a.m.] A Rome Police spokeswoman told CNN police are are conducting checks in all embassies and consulates in Rome following blasts at two embassies there. 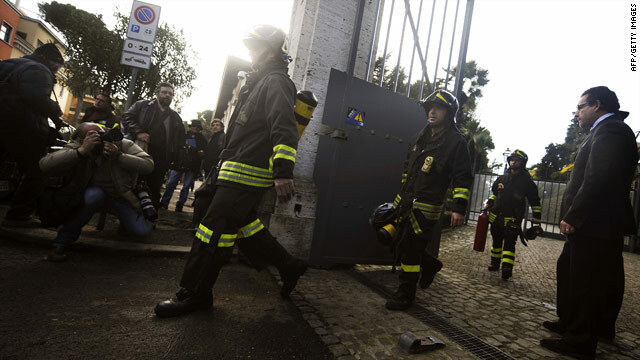 [Posted at 9:27 a.m.] Bombs exploded at two embassies in Rome Thursday, police said. The first explosion, a package bomb at the Swiss Embassy, seriously wounded the person who opened it, police said. A second bomb exploded at the Chilean Embassy shortly afterwards, wounding one person, who has been taken to the hospital, police said. Bomb threats were phoned to City Hall and to another government office in Rome, the mayor's office said. No bombs have been found in either location. The bombings come a day after police blanketed Rome in heavy security due to student demonstrations. 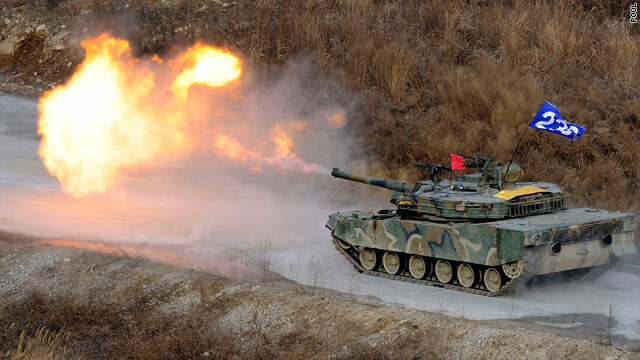 Korea tensions - North Korea threatened Thursday to launch a "sacred war" after South Korea completed large military exercises near the volatile inter-Korean border. 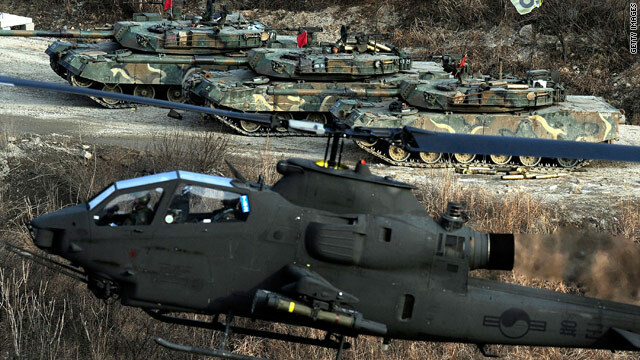 The long-planned South Korean exercises (pictured above), billed as its largest land and air winter drills, were conducted 15 miles from the North Korean border. The North's threats are raising fears among South Koreans, and New Mexico Gov. Bill Richardson, a former U.S. ambassador to the United Nations, admitted the two sides were "very close" to war when he arrived in North Korea last week. CNN takes a look at what's behind the tensions and will continue to watch this developing story. 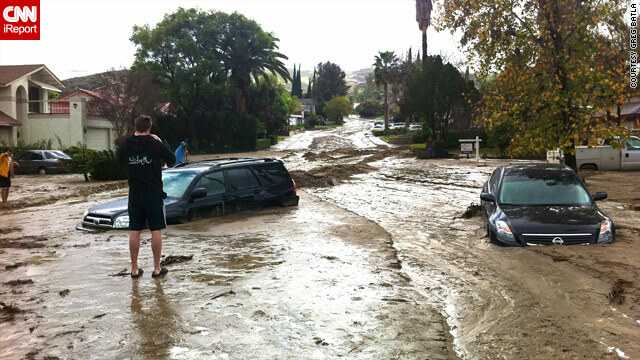 Devastating storms - You couldn't tell from the images of flash floods and residents knee-deep in mud, but forecasters expect the devastating rainstorms in Southern California to begin winding down Thursday afternoon.